Here's a moment of family music. Rachel and Ben have flown back to their grown-up nests, but right before they left (literally) we made this video. I was delighted to come across this video explanation of the way overtones work on Mind the Gap. Isn't it a treat to learn that the brilliant Vi Hart is a violist (though she doesn't admit to it in this interview, and she does treat her viola oddly by writing on it) and a composer? And look at the way she uses a music box to demonstrate the way a mobius strip works as a conduit for musical possibilities. Somehow, as a bona fide mathophobe, I feel optimistic living in a world with young people like Vi Hart opening up possibilities of how to think about things differently. Here's her YouTube channel, where I plan to spend a lot of time. "If you could change one thing about yourself, what would it be? PRESIDENT OBAMA: I deeply regret not having learned a musical instrument. And I regret not having focused more on Spanish when I was studying it in school. I would love to be able to speak Spanish fluently and play an instrument." People who have chosen instruments successfully (or have had them successfully chosen for them) tend to develop personalities that correspond to the way those instruments behave in performance situations, collective or otherwise. What instrument would you assign to which prominent "in the news" political figure (even political players who are no longer in the headlines and/or no longer running for office). I have been doing some reading lately. One of the most eye-opening books I have enjoyed is The Swerve by Stephen Greenblatt. I decided to get the book on a whim when I heard Greenblatt describe it during coverage of the National Book Awards somewhere on television. I thought it would be a good idea to actually know something about Renaissance thought since I spend a lot of time thinking about and playing Medieval and Renaissance music. I always wondered how the people who contributed to the Carmina Burana (or at least some of them), for example, knew about Greek and Roman mythology. But this post is not about my ignorance. That would take up too much space, and would not be very interesting to read. The Swerve, if you haven't clicked on the above link, is about the circumstances concerning the discovery of a book-length poem called De Rerum Natura by Titus Lucretius Carus. Now I have a copy of Rolfe Humphries' translation of the poem (thanks, Michael), and I find it beautiful and fascinating. I have finished the first book, which makes the case for Epicurus' idea that nothing comes from nothing, that all things are made from atoms that float around in space. The racy parts of the poem (I have peeked ahead) seem to make it clear that the concept of Venus (though not the goddess herself) is what encourages all of nature to continue to be. Some essential components of Lucretius' argument that many people would object to this "holiday season" are his loud and constant claim that there is no life after death, and his claim that there is no entity that watches humanity and causes things to happen. Lucretius was, of course, reacting against what many modern people would consider mythology: the polytheism of the Ancient Greeks, and probably the polytheism of the Ancient Egyptians, the Babylonians, and other mythologies that might not have survived. But his arguments work just as well to counter the various beliefs and mythologies that people have in the modern world. Reading the poem helps me to understand that poetry and music are all part of nature. It is comforting to know that what we do as musicians is not "extra" as many members of modern society seem to believe. It also makes a case for the imagination. Anyone who has enjoyed fiction, either as a writer or as a reader, knows that when we create characters or empathize with characters created by other people, we do it with emotions that feel real to us. Some of us care about characters in books and operas with the same kinds of feelings we have for people we know in our non-reading lives. It is one of the reasons we read fiction, and one of the reasons some of us write it (I make up stories, but I have never actually written fiction, per se). Most of us are guilty of believing things that are fictitious about people who are real, and some of us are guilty of making up stuff about people that may not be true. We also sometimes try to believe things that other people believe, and sometimes we try to have faith in something intangible, and attribute "results" to that faith. I have faith: I belive in atoms, I believe in gravity, I believe in the usefulness of the scientific method, I believe in practice, I believe in instinct, and I believe that each person has his or her own human nature that really can't be altered. I believe in tonality, but I do not believe it's the only way to organize music. I believe in the necessity of musical instinct in the creative act of writing music, and I believe in musical instinct when it comes to interpreting music and playing music with other people. I used to believe in the seasons, but things have changed in our world, and I can no longer trust the seasons. I do believe that as long as the carbon that is inside the planet stays there, nature will find a new balance. I believe in the continued relevance of Bach, Haydn, Beethoven, Mozart, Schubert, and Brahms (and a whole slew of other wonderful composers who believed in Christian theology), regardless of where they believed their inspiration came from. It's the music that matters. The more tools I have to look out into the world, the more I begin to understand that there is nothing about modern life that suggests anything like the "common practice" monoculture or set of monocultures that existed in the West before the days of mass communication. There are people who explore a different internet from the one I explore; and there are people who watch a different set of television channels, see different movies from the ones I watch, and read different books from the ones I read. There are people who eat totally different food from the food I eat, and English-speaking people who use entirely different groups of words to transmit reflections on the the world that I understand we share. I am therefore not surprised when the responses that I get from my Community College students to a question on their final exam that asks them to list the pieces they liked most and least during the semester are all over the map. Some prefer the pieces that they heard later in the semester (when they finally figured out that they like listening to what we call "classical" music), and some chose music from very early on in the semester--music from the Middle Ages--as their favorite music. Some students really love opera, and some students really hate it. Some people slept through classes, and some people who slept early in the semester stopped sleeping and started paying attention. Some students respond to Wagner, and some respond to Stravinsky. Most people tend to like Mozart (what's not to like? ), but some do not respond to Beethoven. Many students have an open mind when it comes to 20th and 21st-century music because they have heard serial music in horror movies and on "The Twilight Zone," and they have heard minimalism in movies and commercials. 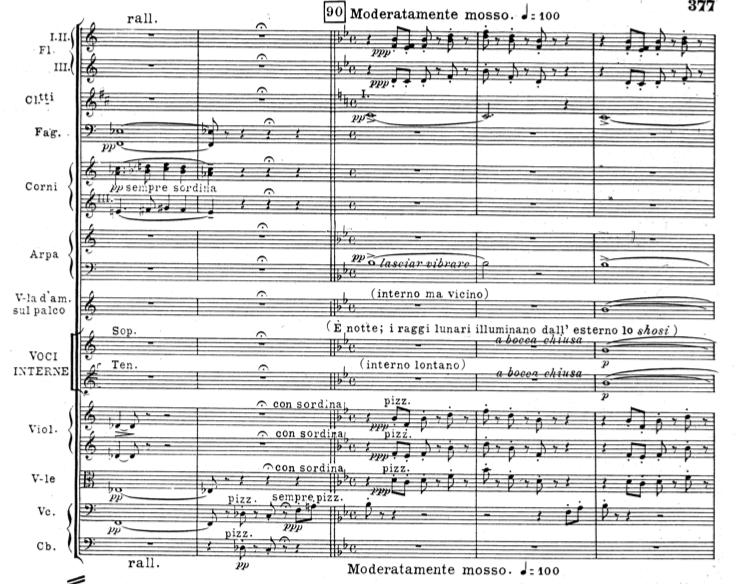 Some people are comfortable with electronically-generated sounds, and some people find Berlioz too wierd, too dissonant, and too chaotic. There is no rhyme or reason to the choices students make when it comes to the 500 or so years of "classical music" we study. It all has to do with people's individual personalities. I think about how far we have come as a society when our young adults have the opportunity to make so many personal choices when it comes to music. When I think of my place in the world as a person who might open up doors to the wonders of the senses to unsuspecting people, both in class and in places where I play concerts (not to mention the people who happen by things I have written on this blog), makes me feel proud to be who I am and to do what I do. I read this post several times this morning, and thought I would share this fine bit of bloggery. Marjorie Kransberg-Talvi introduced me to this book through a blog post, and I am sincerely grateful to have had the opportunity to read it. Not being from the American West Coast, I hadn't heard of Randolph Hokanson when I was growing up, but I certainly knew of two of his closest friends and teachers: Dame Myra Hess and Howard Ferguson. I first encountered Ferguson's music a few months ago on a recording from a concert Hess played with violinist Isaac Stern on August 28, 1960 at Usher Hall in Edinburgh that was just issued by Testament (I just noticed that one of the quotes from reviewers on the website for this recording is from me! ), and was overwhelmed by everything about the performance. Hokanson had the great fortune to leave the state of Washington in 1936 (when he was 20), and become immersed in and embraced by the world of England's musical and literary intelligentsia (he met G.B. Shaw and H.G. Wells at the same party). In this memoir he chronicles the highlights of his musical education, giving specific (and extraordinarily useful and insightful) examples from Myra Hess and Wilhelm Kempff about the what, how, and why of music. He manages to condense 70 years of experience into less than 200 pages, and along the way he describes some of the artistic and geographical wonders of Europe, his impressions of what Germany felt like right before WWII (he attended a Furtwangler performance where Hitler was in the audience, surrounded by flags), and what it was like to tour for "Columbia Concerts," an organization that sent New York musicians (Hokanson was living in New York during the 1940s) on long trips to far away places to play concerts for very little take-home pay. Hokanson gives the rollicking details of one such concert in a place he calls "Nowhere," where a terribly out-of-tune piano was put on a "raked" stage (one that was sloped upwards towards the audience). One of the photos (there are a few pages of photos) has Hokanson with his piano student Corey Cerovsek (who looks to be about nine years old). Now I understand one reason that Cerovsek's Beethoven Violin Sonatas are so spectacular. Hokanson, who is now retired in Seattle, but is still paying, is a "music first" sort of person and an excellent writer. His memoir makes me long for the musical world of days gone by, when substance separated the competent from the committed, and accomplished musicians seemed to care more about their quest to understand the music they played than about the size and shape of their careers. But he makes it clear that the what, how, and why of music that will always matter, and that the quest to be come a "Beethoven player" is one that does take a lifetime, and one that makes a lifetime worthwhile. The book is a print-on-demand book that is available through the University Bookstore in Seattle (1.800.335.7323). I found this wonderful recording of the first movement of the Mozart A minor Piano Sonata, K. 310 on line. The playing says everything. Yesterday I had my last classes of the semester. My morning class, which covered later music from the later 20th and early 21st centuries went pretty well, despite the fact that I loaded up the browser of the windows classroom computer with 19 or 20 YouTube videos. I held my breath, and everything went as planned. Feeling confident for my afternoon class, I loaded the browser (Firefox) with one or two more videos than I had used in the morning (I couldn't resist the the temptation to give examples of all three parts of Reich's Different Trains). When the first Messiaen piece played with an almost still video picture, I had a feeling that everything was doomed to fail. There is no silence as deep as the silence of a class watching a teacher wrestle with a computer. Even the silence of 4:33 doesn't compare. When the title for one piece and the silent and still picture for another were being displayed at the same time, I knew I was in serious trouble. The silence was broken when I simply said "to hell with it" (to myself, of course), and decided to try to close the browser. Nothing happened. I tried various things in the task manager, but nothing happened. 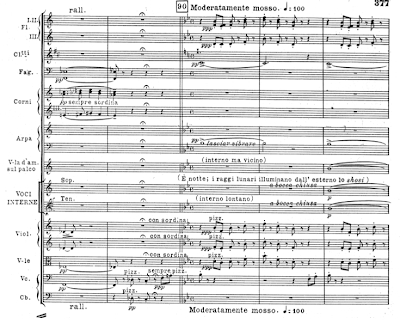 Then all the tabs began opening up, and layers of Carter, Babbitt, Messiaen, Seeger, Glass, Cage, Dun, and Reich started entering like Renaissance points of imitation. I had to identify which was which (which was surprisingly easy because each of these pieces is surprisingly different from the others), but the tabs wouldn't close. When the Mad King in Davies' "Eight Songs for a Mad King" started screaming, I had to laugh. When the loops of Cage's Microtonal Ragas came to the foreground, I explained to the class that we were having a true Cagean moment. The only problem is that I didn't have the chance to explain Cage to them before this happened (and I can never depend on students to do their reading), so I was alone in my appreciation of the chaos. The students were smiling only at my folly. I thought I was in the middle of a teaching nightmare. I tried closing the browser again, and this time it seemed to actually close, but the music kept on playing. And playing. And playing. I was, finally, able to get about 45 minutes of the 75-minute class in (gosh, this fiasco lasted for a half an hour! ), and I think that the students might actually have learned something about later 20th century music. Try it for yourself. Load up as many of these YouTube videos as you dare, and play them at the same time. The effect is truly remarkable. Like many people who live in post-Walmart, small-town America, if I don't want to buy my clothes at Walmart (and I don't feel like going out of town), I have to get them by mail order. 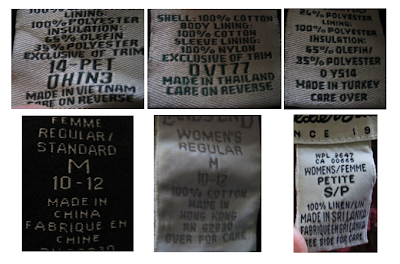 Looking through my closet yesterday, I noticed that the places my mail order clothes (from American companies) were made looks like a set of destinations on a travel guide for Asia. Then I noticed the clothes I have from TravelSmith (the home of the best travel concert clothes as well the green sweater I seem wear almost every day, and wear in most every photo) . 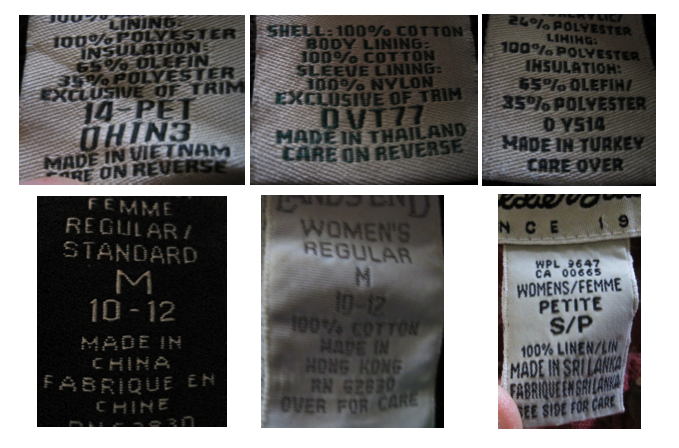 . .
were made in the U.S.A. When I bought this vest from L.L. Bean nearly thirty years ago (and I still wear it) . . .
just about everything you bought at L.L. Bean was made in the U.S.A. 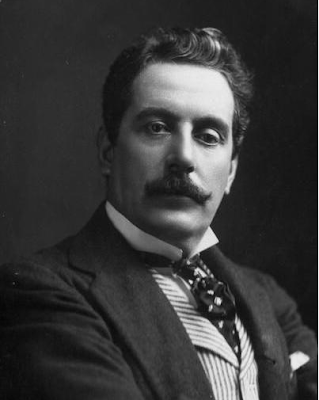 Check out this article about Puccini's love life. Compared to it, his operas are almost tame! The Humming Chorus of Puccini's Madame Butterfly could be considered three of the most beautiful wordless minutes in all of opera (particularly when you hear it in context). I just found out, from a glance at the score . . .
that the viola d'amore part (which is hardly ever performed with an actual viola d'amore) is supposed to be played from the stage. That really changes everything. The chorus of humming sopranos and tenors is off stage, Butterfly, Suzuki, and baby Dolore are in silhouette behind the screen of their Japanese house waiting motionlessly for Pinkerton to return, and the only movement you see (in Puccini's inner eye and score) is a viola d'amore player, with a scroll that reminds us that love is blind. 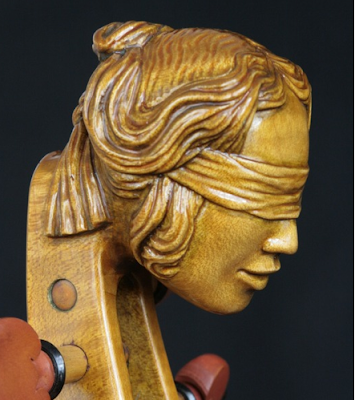 There is a visual echo of a viola d'amore scroll a few measures from the end of the second act when Butterfly blindfolds her son. Ruth Crawford Seeger's Transcription of "Ground Hog"
This is what happens when a great composer puts together folksong books for children. We should remember the kinds of things that the children she raised did with their lives, for music, and also for children. And yes, Eden, one of these days you will be able to turn the tuning pegs on your ukulele! "Oh well" and Other Treats from "On The Town"
I just love Eileen Ferrell's "Oh well. . ." As for Lennie's voice (which comes in for a verse towards the end), it is certainly "singular." Of course no visit to "On The Town" is complete without hearing Carried Away and Lonely Town.